Submerged chapels and unexplored caves—there’s plenty to discover, if you know where to look. In a country as vast, geographically diverse, and steeped in legend as India, every place has a story to tell. Around every corner lurks a ruined fort to explore, a waterfall to swim in, a tiny eatery that serves extraordinary food. Here are some of our finds. Ruins have always fascinated me. The more forlorn and forgotten the structure, the more mysterious it seems. So when I heard of an abandoned Gothic-style church a little outside Bengaluru, I knew I had to see it. What I didn’t anticipate was the trouble I would have getting there. It took many bumpy detours, but eventually, we found the Rosary Church, by the side of the Hemavathi River in the town of Shettihalli in southern Karnataka. Standing on a sandy bank, I could see only one-third of the chapel. The roof had collapsed but the beautiful, pointed arches, characteristic of the Gothic style of architecture, still stood. It looked haunting in the late afternoon sun, but the best time to view this derelict beauty is during the golden hour. 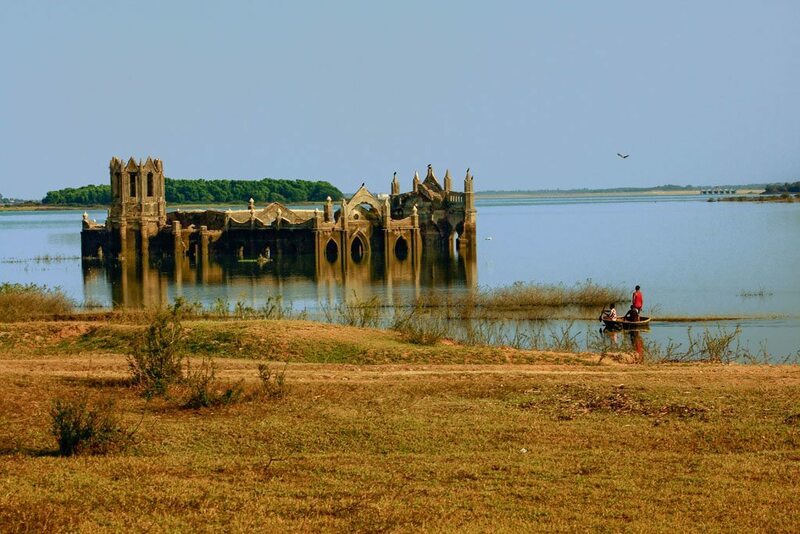 Built by French missionaries in the late 19th century, Shettihalli’s church remained intact until 1960 when the Indian government began construction of the Gorur Dam (handy, when you’re asking for directions). The village folk were relocated but the church stayed, braving the wrath of the monsoons decade after decade. Every year, the water in the dam rises, submerging parts of the chapel, leaving visitors awestruck by its beauty. The bridge across the dam offers excellent views, but the best way to soak in the beauty of Rosary Church is in a boat. If you’re lucky and local fishermen are around, ask them to take you for a ride in their circular coracles. It is a surreal experience, floating through the chapel’s arches and crumbling halls. I could reach out and touch the walls, sadly filled with scrawls and graffiti. 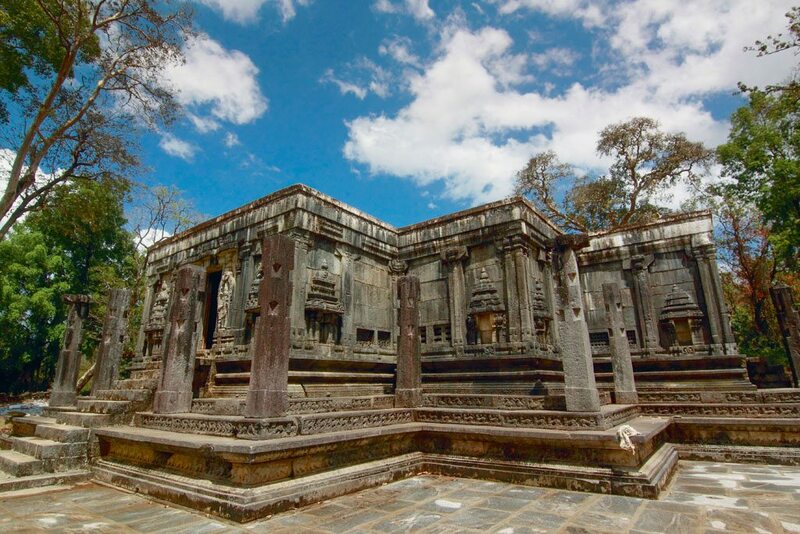 I have seen some stunning ruins and kayaked through dramatic lakes, but Shettihalli’s ageing shrine combines the romance of the two in a way that is unforgettable. —Neelima Vallangi The Vitals Rosary Church is in Shettihalli, about 200 km/4 hr from Bengaluru, near Hemavathi Reservoir. To get there, take a diversion near Hassan on the Bangalore-Mangalore highway and ask for Gorur Dam. The chapel is visible from the bridge connecting Shettihalli to Gorur Dam. My coastal Karnataka holiday was planned around food: banana leaf-steamed idlis, chicken roast swimming in ghee, and tender mutton sukha flecked with coconut and glistening curry leaves. We explored Mangalore, Batkal, and Honnavar, and spent some time hiking through the Western Ghats to work up our appetites. But mostly, the trip was about getting acquainted with Mangalorean cuisine through copious consumption. I never imagined I would return gushing about a Jain temple complex from the 14th century. Getting to the Gerusoppa shrines was half the thrill. The journey included a bumpy, winding drive through ghats, followed by a 30-minute walk in the thick of the forest. There weren’t too many people around and the roads were terribly mucky, especially since it was raining. But Gerusoppa was every bit the Indiana Jones setting we hoped it would be. The complex is spread over many kilometres of unruly jungle, about 30 kilometres from the town of Honnavar. It once had over 100 shrines, built by a fierce queen called Chennabhairadevi, but less than a dozen of these now remain. They’re in various states of decay and disrepair. In one compound, we saw a cow placidly chewing the cud by an intricately carved stone tablet that was likely over 600 years old. In another shrine, we examined a life-size sculpture of Mahavira, eyes half-closed in meditation. We scrambled over weathered boundary walls, poking our noses into musty sanctums to see what we might find. Every temple had something to offer. Grandest of them all, and the one that took my breath away, was called Chaturmukha Basti. It stood in a clearing on a granite platform, surrounded by trees gently swaying in the breeze. “It looks like Angkor Wat,” my companion whispered. I couldn’t believe such a stunning structure had remained off the pilgrim-tourist track. Designed like a perfect cross, the temple has four entrances, facing north, south, east, and west. In the centre, in a sanctum with four doors, is a four-sided, life-size sculpture of Mahavira in padmasana. Its symmetry is astounding. I ran my hands over the cool, stone statue, trying to imagine what the shrine might have looked like when it was still in use. 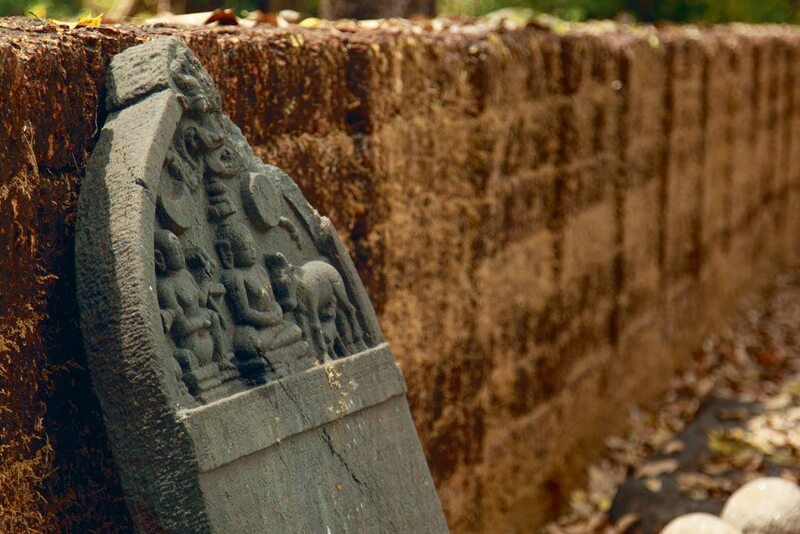 Chaturmukha Basti is a wonderfully preserved masterpiece of Hoysala architecture, but my favourite shrines were the ones nestled deep in the forest, ignored by conservationists and archaeologists. I noticed them on our walk back to the car, blanketed in green, vines sprouting from cracks and crevices. No paths lead to these moss-covered piles of rubble, and there aren’t any signboards marking their presence. They’re in terrible condition, and yet, there is something deeply mystical about them—so beautiful that the forest has claimed them for itself. —Neha Sumitran The Vitals Gerusoppa is 30 km/45 min from Honnavar, behind a Karnataka hydel project. It is best to visit during the day. 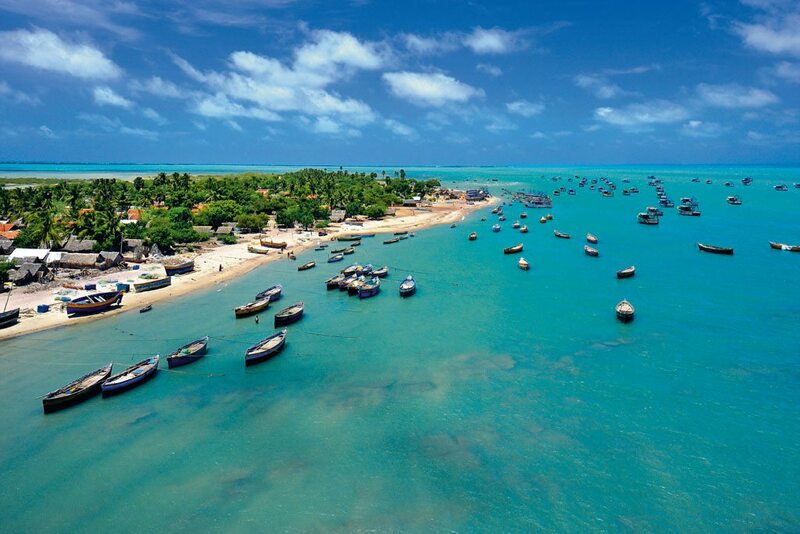 It is hard to believe that the Gulf of Mannar is in India. We’re not used to seeing clear blue waters, pristine crowd-free beaches, and marine life like dolphins, sea turtles, and whales on our shores. But it is. And the entire stretch from the pilgrimage town of Rameswaram to the Gulf of Mannar Marine National Park at the southern tip of India is a piece of pure wonder. Rameswaram is set on a tiny island connected to mainland India by the Pamban bridge. In the Gulf of Mannar Marine National Park thousands of migratory seagulls and terns gather in what is India’s biologically richest coastal belt, complete with coral reefs and colourful fish. In between is the intriguing town of Dhanushkodi. Ghost town, abandoned village, deserted ruin—this abandoned place goes by many names, but nearly everyone who visits feels its mysterious enigma. There are neither glitzy resorts nor beach shacks here, and very little tourist infrastructure. Maybe that’s why it’s still paradise. The Vitals The closest airport is Madurai 140 km away. Rameswaram has a railway station that is well-connected to Chennai, Madurai, Trichy and Coimbatore. Regular buses ply between Rameswaram and Chennai/Madurai. 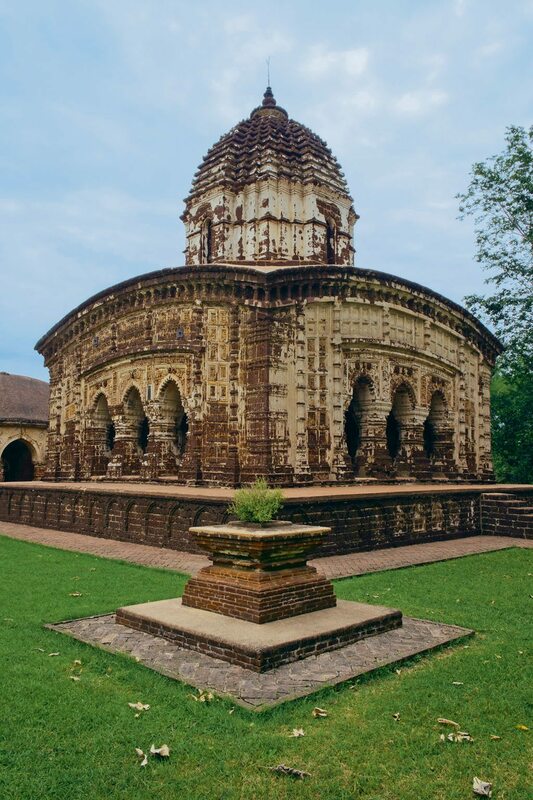 Amidst the emerald fields of Bishnupur stand soaring terracotta temples that date back to the 17th and 18th centuries. The shrines, made from the alluvial clay soil of the Ganges delta region, were built to honour the blue god and his love Radha. They have an unusual blend of Bengali, Islamic, and Oriya architecture with curved roofs, dramatic arches, and moulded brickwork. They are striking from afar but the craftsmanship lies in the details. Intricate carvings on terracotta plates and limestone stuccos depict scenes from Hindu myths, dancers holding elegant poses, and nature motifs inspired by the surrounding habitat. Bishnupur is also known for its weavers, who draw inspiration from the temple to create delicate Baluchari silk saris. The Vitals Bishnupur is 130 km/3.5 hr from Kolkata, and is well-connected by buses and trains. It is best explored on foot. Long Island is a world away from Havelock and Neel, the more popular of Andaman and Nicobar’s land masses. It has one hotel, no vehicles, and forests that look like they belong in the Jurassic era. Few tourists make it here and the clutch of homes along Long Island’s winding lanes is barely discernible from the thick jungle around. But it is precisely this air of seclusion that makes it so special. 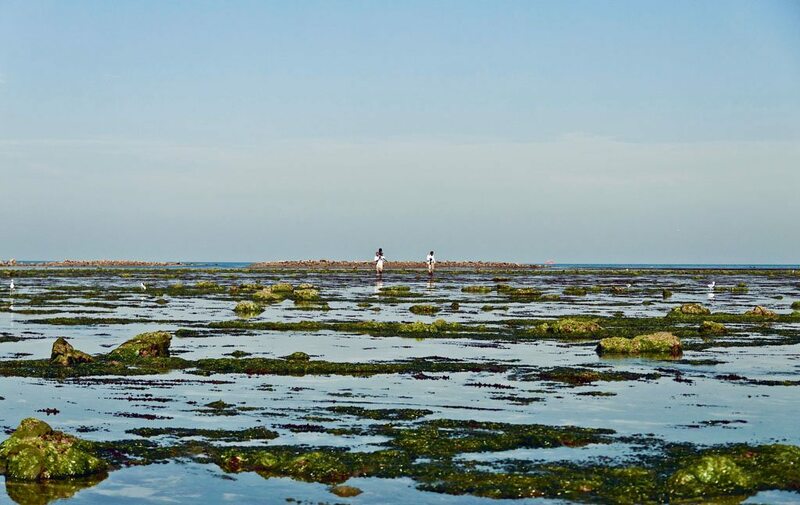 Walk along Lallaji Bay, the island’s pristine white sand beach, to hear the ocean sing and the mangroves whisper. Dive into the turquoise waters to get a closer look at marine life, or simply stare into the thick, ropy jungle. The island offers an increasingly rare off-the-grid experience, perfect for seekers of solitude. 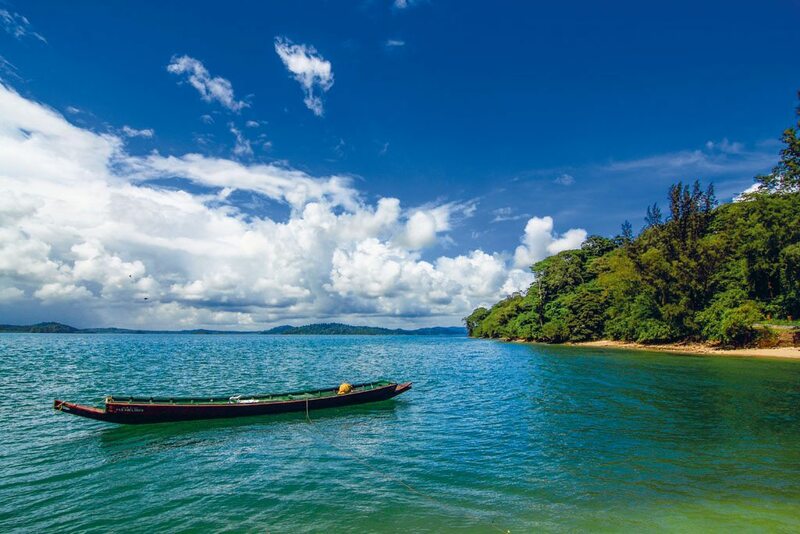 The Vitals Long Island is about 125 km north of Port Blair and is connected to the capital by daily ferries. There are regular flights and ships to Port Blair from Chennai and Kolkata. 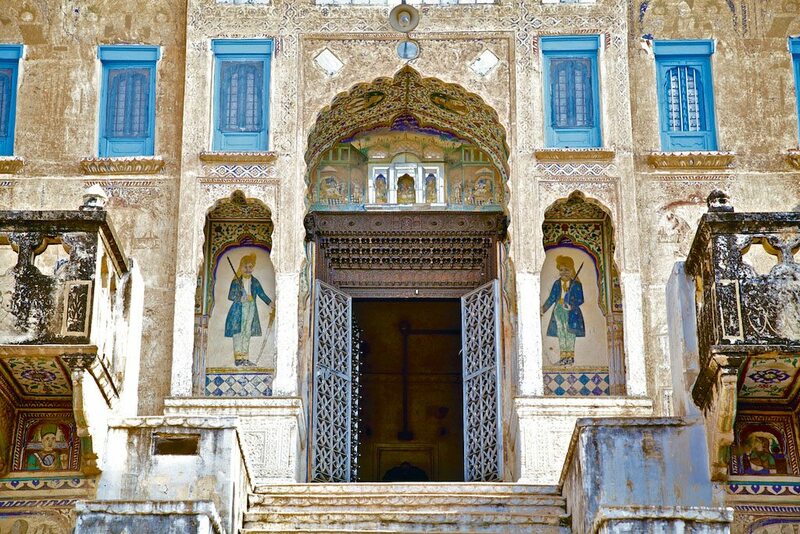 Churu’s colourful havelis border on the surreal, like the grand Hawa Mahal with 1,111 doors and windows. The Rajasthani town is filled with flamboyant homes, some of which date back to the 1830s. When you aren’t craning your neck to take in the frescoes on the walls of the decaying havelis, sample the region’s rich, traditional cuisine. Ker sangri, a sweet and spicy speciality made from the ker berry and the sangri bean, is a must-try, as is the papadmungodi, made with Marwari papad and moong dal. The Vitals Churu is 280 km/6 hr west of Delhi and 200 km/3.5 hr northwest of Jaipur. It is well-connected to both cities by bus and train (4-5 hr). In the village of Heggodu, it is not uncommon to encounter shopkeepers passionately discussing the works of Shakespeare and Ibsen. Or to find that the local library is stocked with world cinema and plays. 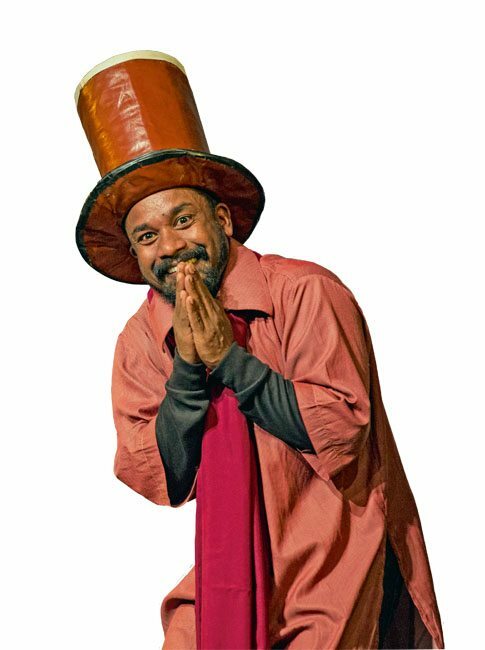 Heggodu owes its keen sense of culture to Ninasam, a small theatre company started by a few friends in 1949. Over the years, it has grown into a thriving institute of performing arts. In addition, Ninasam introduces the Kannada-speaking farmers and government employees of Heggodu to translated performances of works by Kalidasa and Leo Tolstoy. Visitors can spend their days practising kalaripayattu and evenings watching performances with the locals. The Vitals Heggodu is 200 km/4.5 hr from Mangalore airport. Sagara Jambagaru (8 km/20 min) is the nearest town. Ninasam hosts a ten-day course in Oct that includes theatre performances and workshops. The institute is open to visitors through the year (08183 265646; www.ninasam.org). It looks asleep to me, tentacles sprawled, slimy skin shining in the ankle-deep water. But just as we begin to walk away, the brown octopus squirms slowly to life, squirts a jet of thick, blackish ink over my feet and darts away. I am 10 minutes into my afternoon walk around Narara Marine National Park and Sanctuary, an inter-tidal zone that lies off the coast of the Gulf of Kutch. The 170-kilometre stretch remains entirely submerged during high tide. When the tide ebbs, the receding water reveals the psychedelic coral and unusual fish that live here. There’s an astounding variety of marine life in these foot-deep waters. Our guide sidesteps sea anemones waving their tentacles, as he tells us about the reserve’s estuaries, mangroves, and mudflats, all rich in avian life. There are numerous ways to explore Narara. Sunset cruises offer the chance to spot rare birds like the slender, grey hypocolius. Canoes can be hired to examine the mangroves and its inhabitants. On land, there are cycling routes along embankments that give bikers gorgeous views of the ocean. Our guided walk gives us the chance to examine the marine life up-close. Yellow sea sponges retreat into the sand as they sense us approaching with squelchy sandals. Vicious-looking crabs flex their pincers menacingly, but my guide is unperturbed. He only has eyes for the rare brain coral, which we finally see beyond a school of puffer fish. It is a sickly, greenish-brown, but uncannily resembles the human brain. Minutes after, we spot yet another octopus, this time well-camouflaged amid the coral reefs and biding its time. We escape the ink. —Kareena Gianani The Vitals Narara Marine National Park is 60 km/1 hr west of Jamnagar and 7 km/15 min from Jamnagar airport. Tickets can be purchased at the Forest Department office outside the park (0288 2679371/57; entry fee from ₹200, students ₹100). It’s well past noon but there’s a nip in the air. Wrapped in woollens, I walk along the ranga maati (red soil) path shaded by trees, among students wearing khadi kurtas, women in crisp cotton saris, and uncles sporting oversized shirts and monkey caps. I am in the university town of Shantiniketan, home to the Visva-Bharati University, which Rabindranath Tagore started in the 1920s. 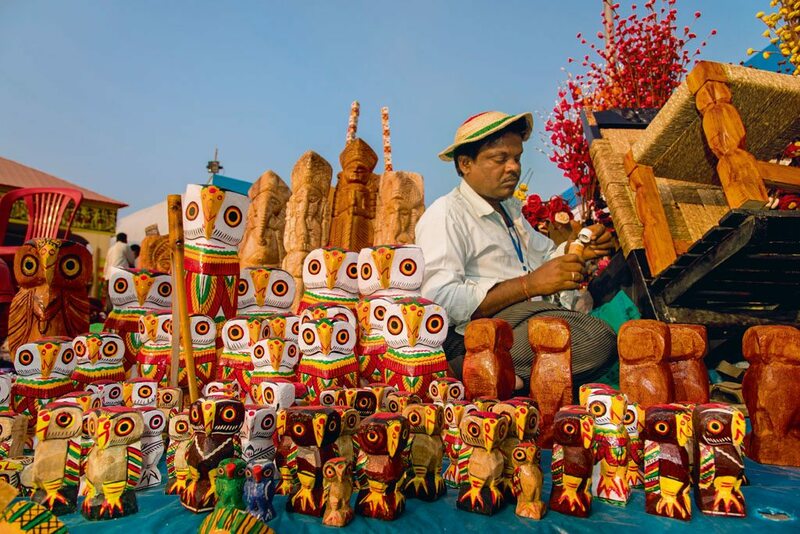 Shantiniketan is charming throughout the year, but it gets a shot in the arm during the Poush Mela, a three-day celebration of song, dance, and handicrafts that dates back 100 years. Once a small village fair, the mela now draws over 10,000 patrons and practitioners of Bengali arts. There is much to see. Fairgrounds are lined with stalls selling leather bags, terracotta figurines, and jewellery of dokrametalwork. It’s mostly traditional handicrafts, made by artisans from Shantiniketan and villages in nearby districts. Piled on a bed sheet on the ground are hand-carved wooden combs. A cart close by sells monkeys carved out of coconut shells. I find myself lingering at a stall selling terracotta crafts, and before I know it, I’m bargaining for a pair of three-foot-tall horses. In the centre of this bustling mela is the mancha, a stage for dancers and singers. The bigger performances take place in the evening, but there is always melody in the air. My shopping is punctuated by students singing the tunes of Tagore, and Baul singers strumming their ektaras, singing of love beyond judgement. Poush Mela is also a great place to sample traditional Bangla food. I take frequent breaks, sampling piping-hotkochuris, phuchkas (pani puri), and a winter-time indulgence called pithe: rice flour dumplings stuffed with sticky date jaggery, coconut, and khoya. As dusk approaches, I choose a spot in front of the stage, settle down with an earthen cup of steaming tea, and lap up the action of the jatra: a dramatic tale of love and betrayal accentuated by the bright makeup and exaggerated acting typical of this style of Bengali folk theatre. —Rumela Basu The Vitals Poush Mela takes place at the end of Dec every year. Entry and all events for the 3-day festival are free. Shantiniketan is 170km/4 hr from Kolkata. The nearest station is Bolpur, 2 km/10 min, from the town centre. Regular trains connect Kolkata to Bolpur. Sitting in a small hut on the bank of the swollen Simsang River, we waited for the rain to subside so we could enter Siju Cave. 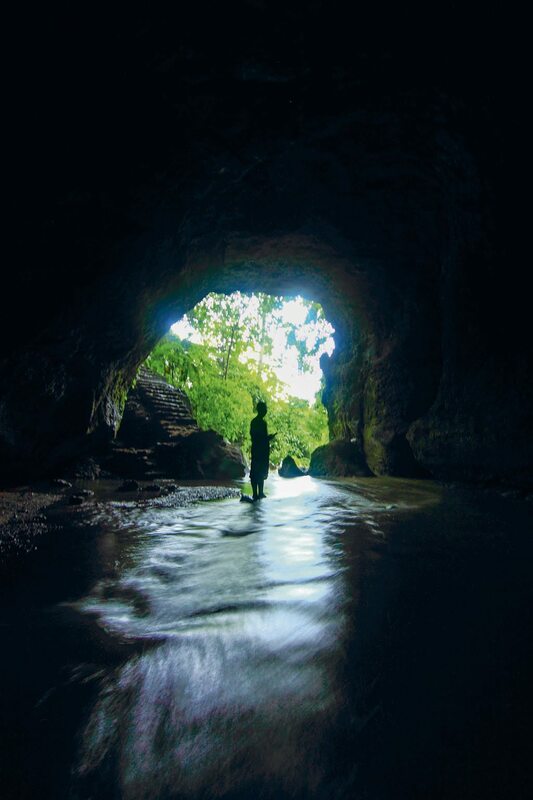 This subterranean cave system in the South Garo Hills of Meghalaya is among the longest in India. But I had mixed feelings about exploring its depths. When it comes to damp, dingy places where creatures of the dark thrive, I’m a bit of a scaredy-cat. Add to that, the fact that Siju was partially flooded due to recent rains and is filled with bats. Entering Dabakhol (bat cave), we walked through murky, ankle-deep water. The cavernous labyrinth has a perennial stream running through it, and the water was surprisingly warm. It was fine at first but as we ventured deeper, the water level rose to our knees and the current grew palpably stronger. Behind us, the faint glow of daylight dimmed and finally disappeared. The only sound resonating through the chamber was the muffled sound of flowing water. Sure, I had a firm grip on my friend’s hand throughout the trip, but the caves were still a wonderful experience. We walked through narrow passages, climbed rocks, and saw some of the creatures that call Siju home, all by the light of our little torches. When Plinder, our guide, flashed light into a cavity in one of the chambers, hundreds of eyes glinted back: There were bats everywhere. Through another tiny passage between a large rock and cave wall, a noisy stream gushed through, falling into a pool below, and creating a little waterfall. Standing on a boulder, I found myself inches away from an arachnid as large as my outstretched palm. It was the cave-dwelling giant huntsman spider, one of the largest in the world, and whose presence in India has been rarely documented. My most memorable experience from Siju Caves however, was when I saw nothing at all. Sitting on a wet rock surrounded by bat droppings, we turned off our torches for a few moments, plunging the cave into complete darkness. Since there wasn’t a single light source, our eyes could not adjust. It was exhilarating. When I switched on my torch, I found swarms of small insects dancing within the funnel rays of its light. Walking back, I asked Plinder how far into the cave system he had ventured. About a kilometre, he replied. When I asked how deep we had gone, he chuckled, and said, “Maybe 300 metres.” I made a mental promise to return, for a proper caving expedition. It’s not every day in India that you find caves without shrines or glaring lights. Here, the subterranean adventure is as pristine as it comes. —Neelima Vallangi The Vitals Siju is in the South Garo Hills, an 8.5-hr drive from Shillong via Guwahati. The closest airport is in the Assamese city of Guwahati (197 km/5 hr away). One-way cab rides from Guwahati to Siju costs ₹5,000. Shared taxis are also available.